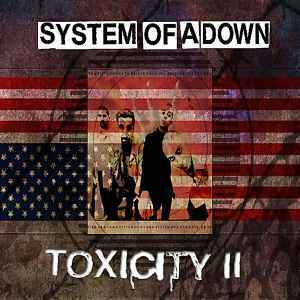 This is a CDr made with a collection of leaked MP3's under the unofficial name Toxicity II. "Everytime" is a demo version of "Boom"
"Waiting For You version" (the 2 versions) are demo versions of "Thetawaves"
"We Don't Give A Damn About Your World" is a demo version of "A.D.D." "Side Of The Freeway" is a demo version of "Mr.Jack"
"On My Mind" is a demo version of "Pictures"
"Want Me To Try" is a demo version of "Highway Song"
"Why" is a demo version of "I-E-A-I-A-I-O"
"Power Struggle" is a demo version of "Bubbles"
"Therapy" is a demo version of "Chick'n'stu"
"Your Own Pace" is a demo version of "36"
"Defy" is a demo version of "Nüguns"
"Streamline" conserved the same title.